Success is all about an individual’s determination to achieve the pinnacle. Failure(s) is the first stepping stone of success. In the world of athletics, failure(s) inspire great athletes to achieve success by overcoming challenges from other competitors. The unquenchable thirst and hunger to achieve the Gold medal becomes the ultimate goal for every athlete in the world. Great athletes have shown their mettle to their competitors by winning constantly against multiple challenges thrown at them. This rare quality separates the great athletes from the rest of the field. Kenyan long distance athlete Eliud Kipchoge has shown time and again, why he is above the rest, winning Gold medal, at races under harsh conditions and tough challenges. 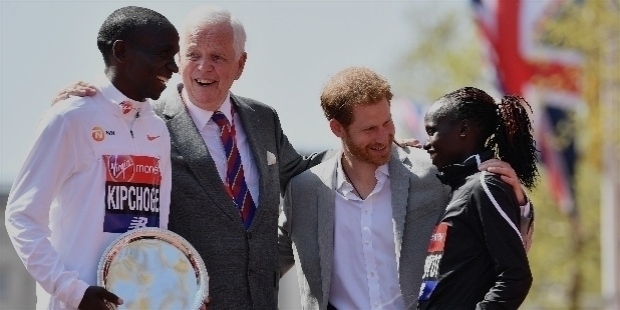 Eliud Kipchoge had skipped 2017 London Marathon in an attempt to break fellow Marathoner Dennis Kipruto Kimetto’s World Record in Italy, under set conditions. Kimetto had set the Marathon World Record at the Berlin Marathon, clocking 2:02:57. Three amazing long-distance runner Kipchoge, Eritrean Zersenay Tadese and Ethiopian Lelisa Desisa attempted a first sub-two-hour assisted Marathon in Nike Breaking2 Project on the 6th of May 2017, on the Monza Formula 1 racetrack near Milan, Italy. The stage was set with a lead car for pacing and supporting runners were ready to join the trio in stages. 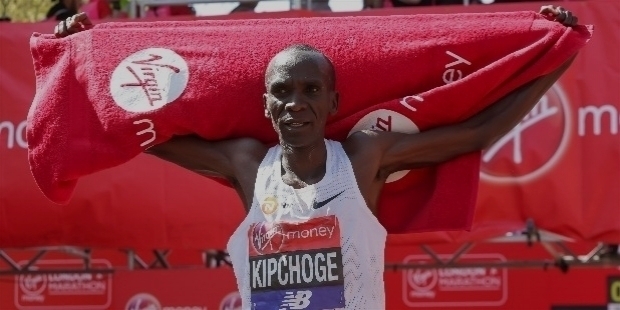 Kipchoge maintained the planned assisted even pace of 14:13 5,000m splits to break the 2 Hours’ mark. However, he was able to clock 2:00:25s. Tadese and Desisa finished far behind Kipchoge’s attempt. The attempted Marathon World Record was and is considered ‘illegal’ under IAAF Rules because of the set conditions. The hot running condition eluded the Kenyan Kipchoge to break Dennis Kipruto Kimetto’s World Record of 2:02:57. The breakneck pace from the start led by Ethiopian Guye Adola saw him running the first mile in 4:22 minutes. Kipchoge led from the front, overtaking Adola early in the race. The blistering pace was on the course for a World Record. British Mo Farah matched stride by stride with the leading group. 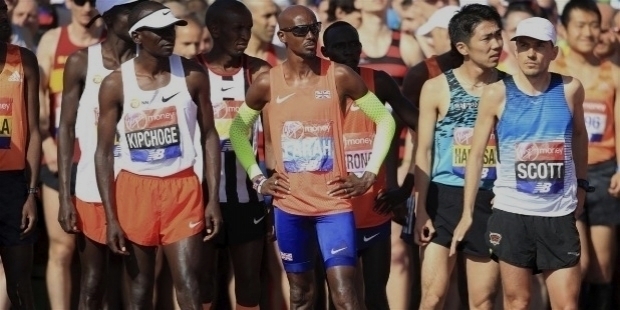 At the 10-mile mark, Farah missed his drinks bottle and had a heated exchange with a steward. Farah lost a considerable time, while Kipchoge and Adola advanced further. Till the second half of the race, the pace was well within a World Record time. The heat increased to intensify further, making difficult for runners to maintain the pace. Ethiopian Tola Shura Kitata stayed with Kipchoge till the very last. The champion showed his class, when Kipchoge crossed the finishing line, clocking 2:04:17 ahead of Kitata’s 2:04:49. The Kenyan missed the World Record by 2 minutes 20 seconds. Mo Farah finished third, breaking Steve Jones’s 33 years old British Marathon Record clocking 2:06:21. 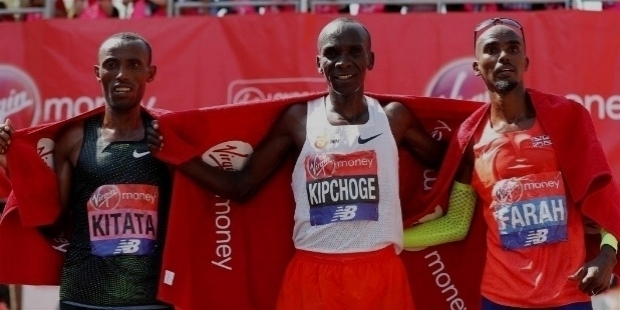 Kipchoge created a hat trick by winning the 2018 edition, having won the Gold medal at the 2015 and 2016 London Marathon. Eliud Kipchoge was born on the 5th of November 1984 in Kapsisiywa, Nandi District in Kenya. In 1999, he graduated from Kaptel Secondary School. During his school days, he was not serious in athletics. The long distance runner is considered the ‘Greatest Marathoner of the Modern Era’ for consistent form in winning great races among other great athletes of the world. Kipchoge marked his presence in the world of athletics, as a junior in 2003, winning the junior race at the IAAF World Cross Country Championships. Kipchoge set the World Junior Record of 5,000m on the track. Later, at the 2003 World Championships in Athletics, he became the World Champion over the distance. At the 2004 Athens Olympics, Kipchoge won the Bronze medal in 5,000m for his nation. At the 2006 IAAF World Indoor Championships, he won another Bronze medal in 5,000m. These tremendous feats for the 20-year-young athlete were just the beginning towards his stature of greatness. 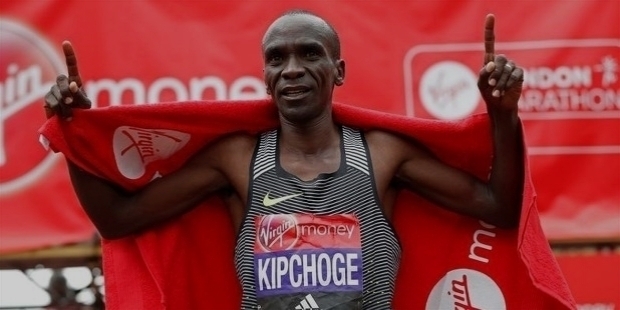 Kipchoge’s rise on the world stage became a threat for other athletes. At the 2007 World Championships in Osaka, he won the Silver medal behind Bernard Lagat. The 2008 Beijing Olympics saw him winning another Silver medal. 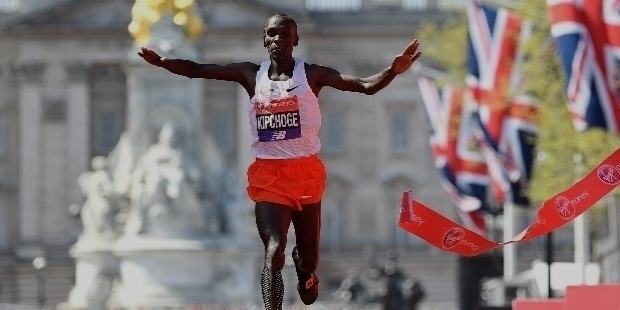 The year 2009 was a learning curve of Kipchoge as he finished 5th at the 2009 World Championships. A year later, he bounced back at the 2010 Commonwealth Games winning the Silver medal in 5,000m behind Moses Kipsiro. 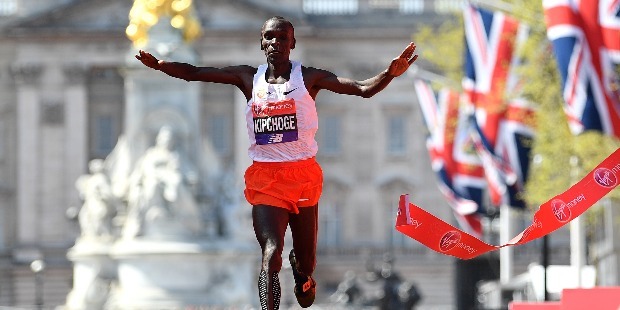 Before switching over to road running in 2012, Kipchoge had left his mark in the 3,000m and 5,000m as the 12th-fastest and 4th-fastest ever in the events respectively. 7:27:66 is his personal best in 3,000m. He has clocked 12:46:53 for the 5,000m distance. Kipchoge set the road ablaze with his 59:25 minutes on his debut road race to set the 3rd-fastest ‘Debut Half Marathon’ in the history of athletics. He marked his debut as a Marathoner at the 2013 Hamburg Marathon. The great Kenyan athlete set a new course record, clocking 2:05:30. At the 2013 Berlin Marathon, Kipchoge slashed another 1 minute 25 seconds with a time of 2:04:05. It was the 5th-fastest Marathon race in the history. Eliud Kipchoge’s dominance over the 42.195 km course continued. He won the London Marathon and Berlin Marathon in 2015. Bettering his mark by 5 seconds, Kipchoge clocked 2:04:00 at the 2015 Berlin Marathon, in spite of his insoles of his shoes coming loose early in the race. In 2016, he defended his title by running the London Marathon by setting a new course record, clocking 2:03:05. He recorded the 2nd-fastest time ever on a record-eligible course. He triumphed at the 2016 Rio Olympics to win the Gold, clocking 2:08:44. At the 2017 Berlin Marathon, Kipchoge clocked 2:03:32 to win the Gold medal, ahead of Guye Adola, who set the ‘Fastest Marathon Debut Ever’. Kipchoge’s supremacy in Marathon has inspired and encouraged many upcoming Marathon runners in Kenya and other parts of the world. 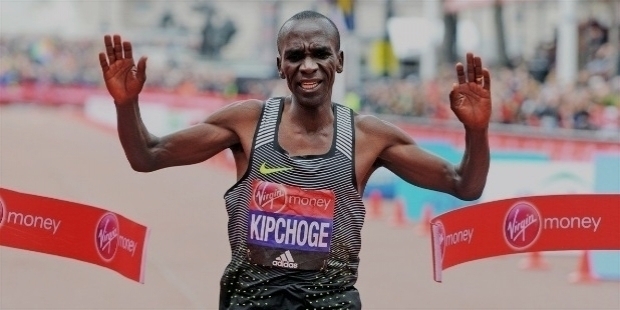 A humble man, Kipchoge believes in working hard to achieve success.